Sony has announced the RX0 II, what they are billing as the "smallest and lightest premium ultra-compact camera." A waterproof, dustproof, shockproof, crushproof and extremely small "premium" camera, the RX0 II is capable of internal 4K recording and now includes a flip-up screen that tilts upwards 180 degrees and downward 90 degrees (for selfies, as you could guess). The RX0 II offers 4Kp30 internal movie recording with full pixel readout and no pixel binning to collect approximately 1.7x the amount of data required for 4K video. By oversampling this data, the moire and jaggies is reduced to deliver clean, high-quality 4K footage with exceptional detail and depth. The RX0 II introduces in-body electronic stabilization for steady footage, even when shot handheld. This can be enhanced even further when footage is exported to a smartphone or tablet running Sony's "Movie Edit add-on" application, where the additional information captured during filming can be processed to produce a video with gimbal-like smoothness. 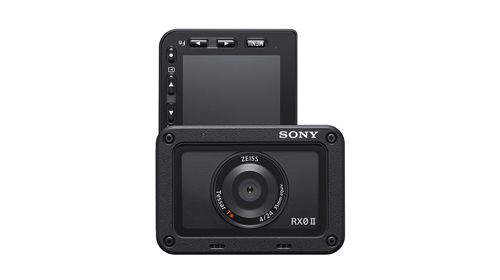 Additional movie features of the RX0 II include Super Slow Motion recording at up to 1,000 fps, uncompressed 4K HDMI output and simultaneous proxy movie recording. But more than video, the RX0 II promises a high-quality photo taking experience. 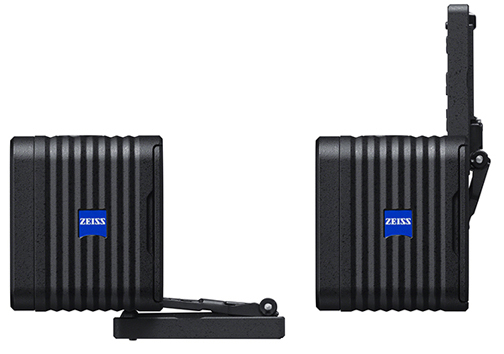 It boasts an anti-distortion shutter of up to 1/32,000 sec. and can shoot at up to 16 fps. Rating and Protect functions can also be applied in-camera and a grouped display of continuously shot images can be viewed on the camera. 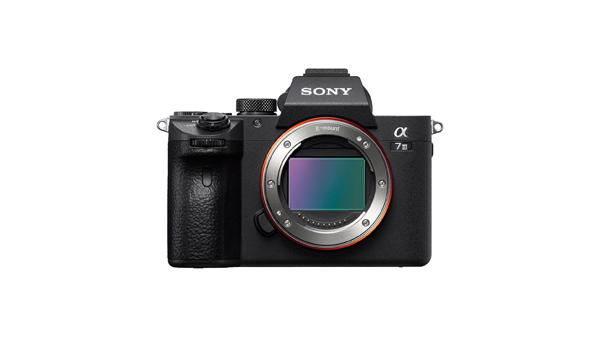 Sony's Eye AF, which is proving hugely popular with portrait photographers across the world, has been upgraded on the RX0 II. The speed, accuracy and operation of the Eye AF are improved to make it even easier to capture a stunning portrait; a simple half-press of the shutter button will lock-on to the eye of the subject.